Protect your growing business by having a strong Cybersecurity plan in place! 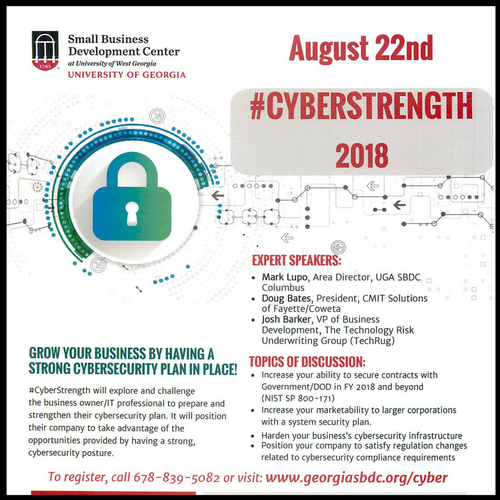 #CyberStrength will explore and challenge the business owner/IT professional to prepare and strengthen their cybersecurity plan, positioning your company to take advantage of the opportunities provided by having a strong cybersecurity posture. Speakers and topics of discussion include the Small Business Development Center at the University of West Georgia/University of Georgia. To register, call 678.839.5082 or visit: www.georgiasbdc.org/cyber. Registration is handled through University of West Georgia/Richards College of Business. 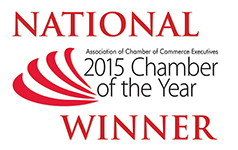 Use code ncc10cyber for member rate!